Hugh Raffles teaches anthropology at The New School. He is the author of In Amazonia: A Natural History, which received the Victor Turner Prize in Ethnographic Writing. His essays have appeared in Best American Essays, Granta, and Orion. Insectopedia is the recipient of a Special Award for Extending Ethnographic Understanding from the Society for Humanistic Anthropology. In 2009, he received a Whiting Writers’ Award. He lives in New York City. 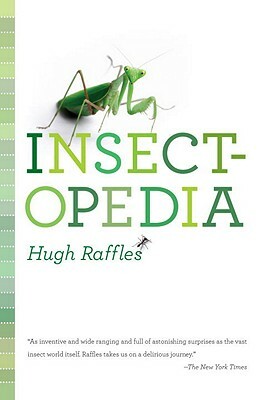 Visit the author's website at: www.insectopedia.org.